The Foundation Matchday is back for the second time this season! 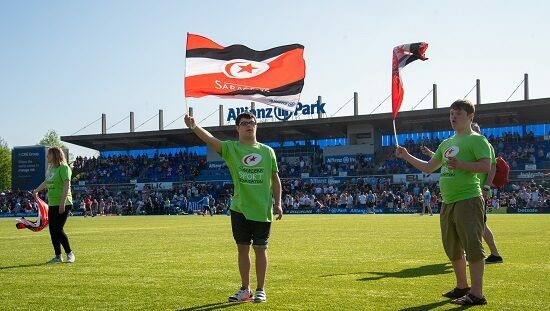 Saracens Men welcome Exeter Chiefs to Allianz Park on Saturday 4 May for a top of the table clash in the Gallagher Premiership and once again the Saracens Sport Foundation is taking over! It promises to be a great day both on and off the pitch and we need your help! We aim to raise as much money as we can for the charity and increase awareness of the work of the Foundation. We need your help to make it happen and you will be on the ground to raise vital funds for the Saracens Sport Foundation!